Computers communicate in binary, which is just a series of ones and zeros. Back in the days when computers were first created, we had no other way of communicating with them. When we needed to program them to do anything, we had to do it manually. With ones and zeros. To give you an idea of how difficult that was, Microsoft Windows today uses 170 billion ones and zeros. To write that out by hand, like people were doing in the past, you would use up enough paper to build a two-and-a-half mile high stack. We don’t have to do that now, and we can thank Grace Hopper. Grace was born in New York City in 1906 and instantly showed an interest in science and how things worked. At seven years old, she took apart several alarm clocks before her mother caught her and limited her to a single clock. Grace attended Vassar College and Yale University, where she earned a master’s degree and in 1934, a Ph.D in mathematics. In 1941, she began working as an associate professor. Grace had family in the Navy and always wanted to serve her country in the same way. In 1943, she was sworn into the United States Navy Reserve, and a year later, graduated first in her class. She couldn’t serve in the regular Navy because of her age and math skills, which were deemed too important to put on hold. The Navy assigned her to the Bureau of Ships Computation Project at Harvard. She kept working there until 1949 when she turned down a full professorship at Vassar. Instead, she remained at Harvard as a research fellow. Grace worked primarily with computers during her career. At Remington Rand, she managed the UNIVAC computer’s programming, which was the first commercial computer ever produced. In 1952, however, Grace achieved her greatest accomplishment. You know from the introduction that computers during this time only spoke binary. It took forever to program them with anything. 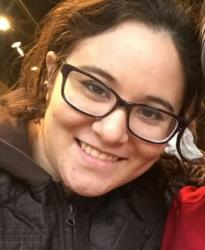 Grace wanted to change that and develop a tool that would translate much easier programming language into computer code. In interviews, Grace talked about how “nobody believed” it was possible, but she proved them wrong. She and her team created what’s known as a “compiler.” Dubbed A-0, the system consisted of a set of instructions that translated mathematical code into the computer’s language. Grace gathered all the programming instructions she’d been collecting over time and put them on a tape, each with its own call number. The computer would be able to find the instructions this way. The second improvement of the compiler, A-2, was the first compiler used widely. The compiler is so important because Grace’s idea that computers could be programmed with code and even English words developed into COBOL, the first and most iconic programming language. As she was making her compiler, people would send their own instructions to add to her tapes, so you could even say she was creating the first open-source software. 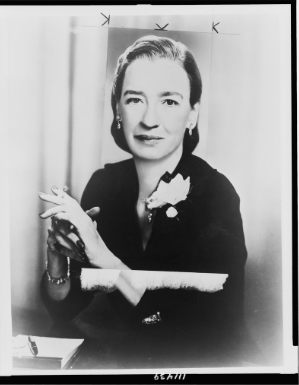 Grace Hopper dedicated much of her career and later life to making computers and programming accessible. She famously used a visual element to help people understand why satellite communications take a long time. She handed out pieces of wire, each just under a foot long, and explained that this was the length electricity travels in one-billionth of a second. That visual is known as the “Grace Hopper nanosecond.” This tangible description helps everyone get a better sense of complex, invisible processes. Admiral Grace Hopper died in 1992 and is buried in the Arlington National Cemetery. The annual Grace Hopper Celebration of Women in Computing carries on her legacy of making the tech field more accessible to women. Did you know the woman who essentially invented Wi-Fi was a Hollywood movie star?